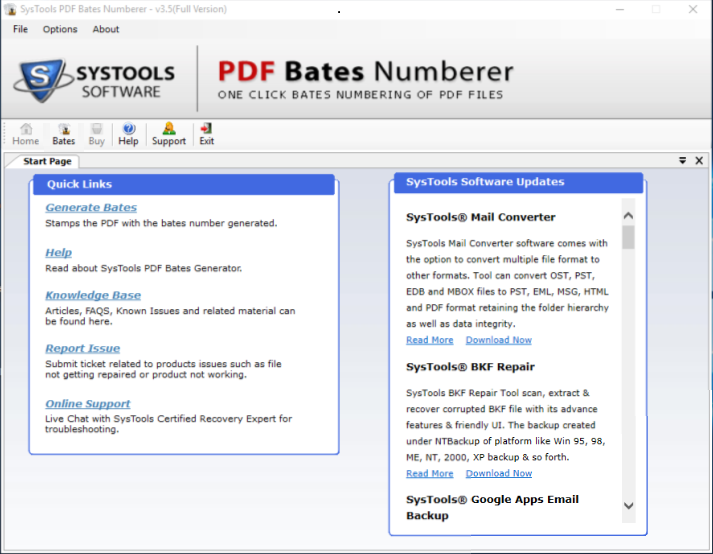 Download free PDF Bates Numbering Tool demo edition to add PDF page numbering & also to insert Bates stamp on numerous PDF files in bulk. The user can add consecutive Bates numbers on Adobe PDF file in Windows 10 / 8.1 / 8 / 7 & all below versions without Adobe Acrobat in the system. 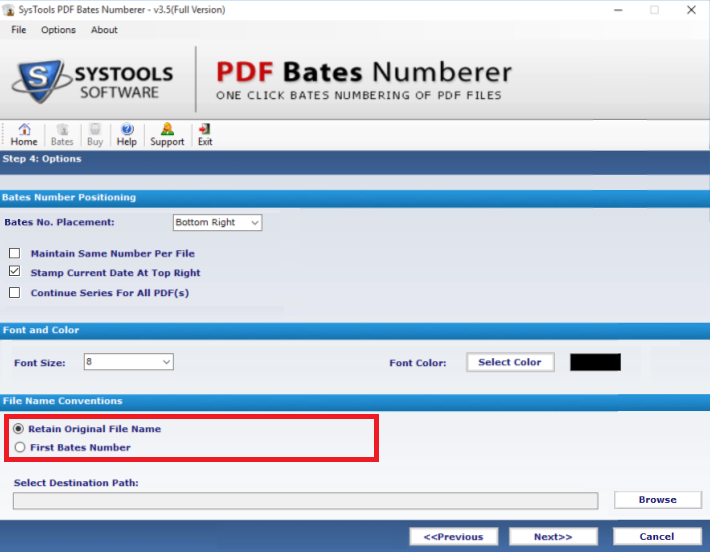 The PDF Bates Numbering tool makes easy for users to insert PDF in batch and insert page number to it. After PDF numbering it becomes easy for the users to manage the PDF documents. 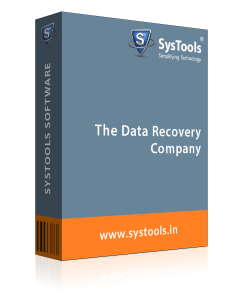 It is a Windows-based tool which is compatible with Windows 10, 8.1, 8, 7, XP, Vista and all the below version. Windows users can easily work with this utility irrespective of the Windows version they are using. 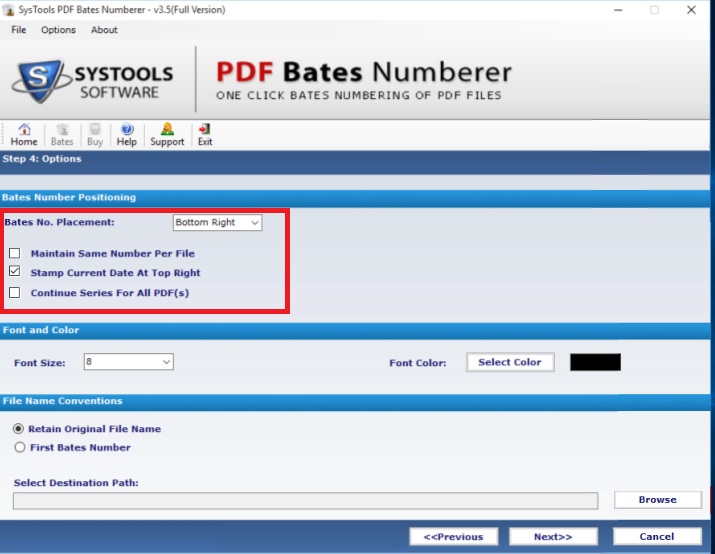 With PDF Bates Numberer software, users can easily add Bates numbering to PDF in multiple styles. To save time, one can also insert bates numbering to different PDF files in a batch. Additionally, the PDF page numberer also organizes the PDF file by arranging the order of the PDF file. By arranging a PDF file one can make use of the Move Up and Move Down option. 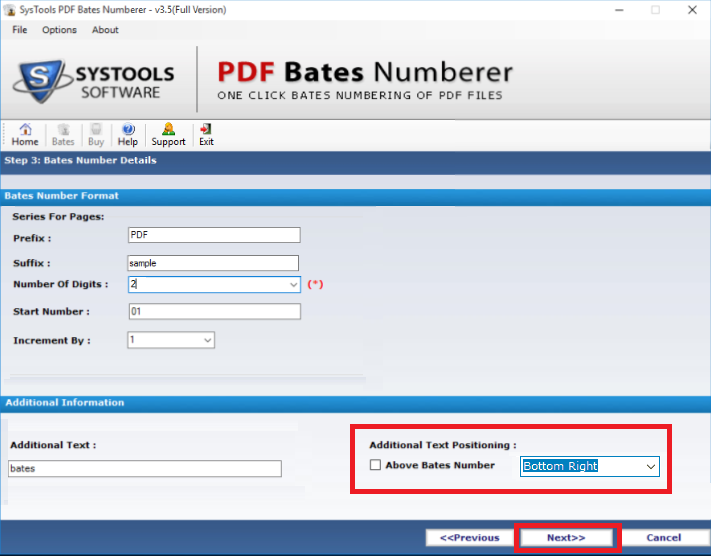 The PDF Bates Numberer is integrated with amazing features. This feature allows the users to insert some additional information, which is to be added on the PDF file. Set Position of Additional Text: This option allows the user to adjust the position of inserted text in consecutive PDF file. It also allows providing text as Top left, Top right, Bottom left, and bottom right. 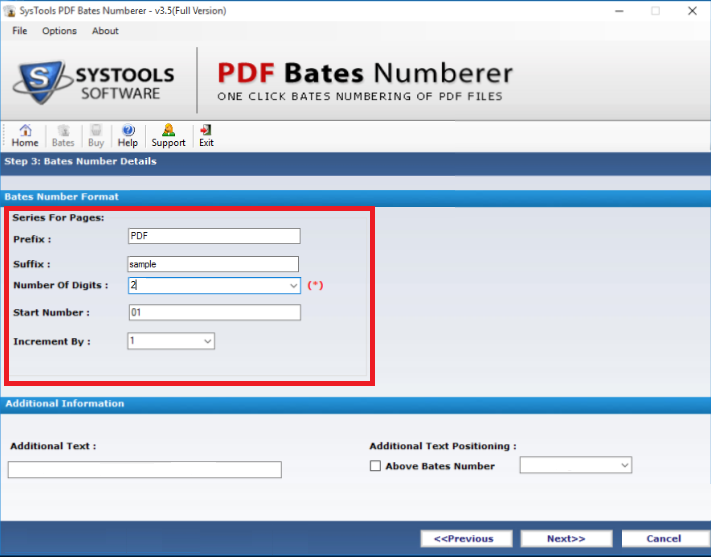 With PDF Bates Numberer tool, adjusting or changing the positions of PDF Bates numbers is easy. The utility allows to enable position as Top left, Bottom left, Top right, Bottom right before they add PDF page numbering. Additionally, a user can also maintain the identical bates numbers on each PDF file. The tool also allows stamping the current date on the Top right side of the PDF. The user can also insert continuous series of number in all PDF files. Give options to set desirable font size while adding the Bates numbering to PDF documents with the PDF Bates Numberer software. Moreover, it provides the option to change the bates number font color. The tool also allows the user to highlight the PDF Bates number and make it look more prominent on the pages. One can save the PDF file by applying the desired name to it as the utility provides various naming options. The PDF page numbering software allows storing the stamped PDF files with its original name. On the other hand, the user can save the file with the first bates number that was selected by him/her while setting the Bates number. Once you insert bates numbers in the PDF file, the utility displays a small summary. After the completion of the whole process, the tool will generate a complete report of all the details related to color, font size, bates number position etc. Step 2 : Now, you will see Bates option, click on it to start to add PDF page numbering or bates numbering. Watch!! How to Add PDF Page Numbering? Q. 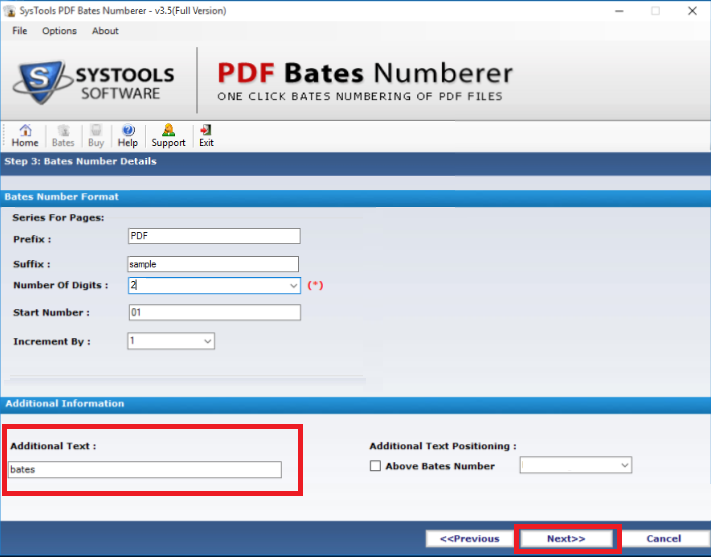 How to insert bates number with the help of PDF Bates Numberer Tool? Q. Can I process password protected files with this application? Ans: The software will process password protected PDF files but before that, it will ask for the password. So, if you do not have the password or you forgot password then you will not be able to add bates number on your password protected PDF files. Q. Is there any effect on the content of a .pdf file after adding Bates Numbering? Q. Can I use PDF Bates Numberer software on Mac operating system? Ans: No, you cannot use PDF Bates Numberer tool as it is the Windows-based tool. You can easily add PDF page numbering to your consecutive PDF files with this software only in the Windows operating system. Q. 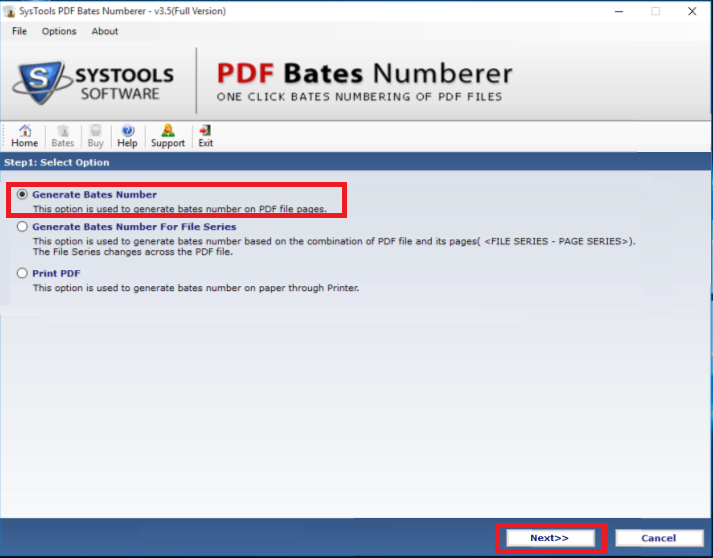 With PDF Bates Numberer tool, can I view how PDF pages will look after bates numbering? Ans: Yes, you can easily preview your PDF pages, how they will appear after inserting bates stamping on Adobe PDF files. 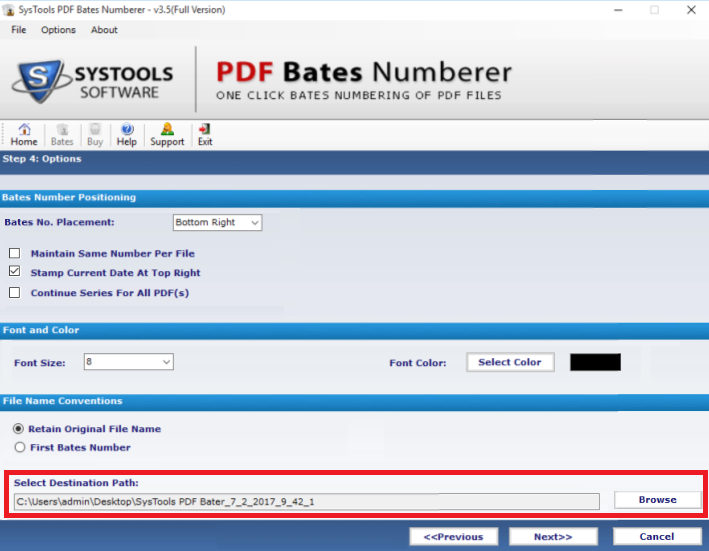 Note: PDF Bates Numbering Software will get delivered on your registered email id, within few minutes after placing the order. 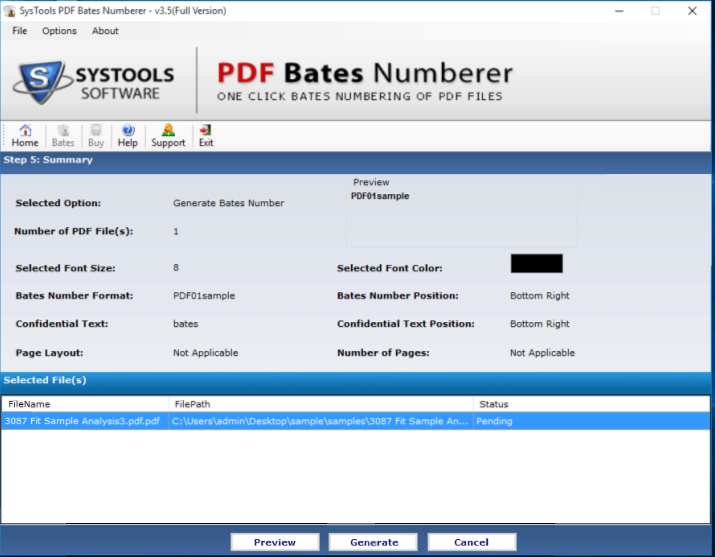 With PDF Bates Numberer software, I added bates numbers to my PDF document in just a few clicks. I do not have any technical knowledge but still, I was able to add PDF page numbering on my multiple PDF files with this tool. It has an easy to use interface. Thanks for PDF Bates Number! I was searching for a smart solution to insert bates number to my PDF documents. Then I came to know about the PDF Bates Numberer, it is just an amazing utility. It is designed with a great GUI which was very easy to understand. This utility works in an efficient manner. Thanks for developing this efficient tool. I wanted to add PDF page numbering to PDF files in bulk. But I was not able to find a reliable solution. Then one of my friends told me about PDF Bates Numberer, this tool is a lifesaver. 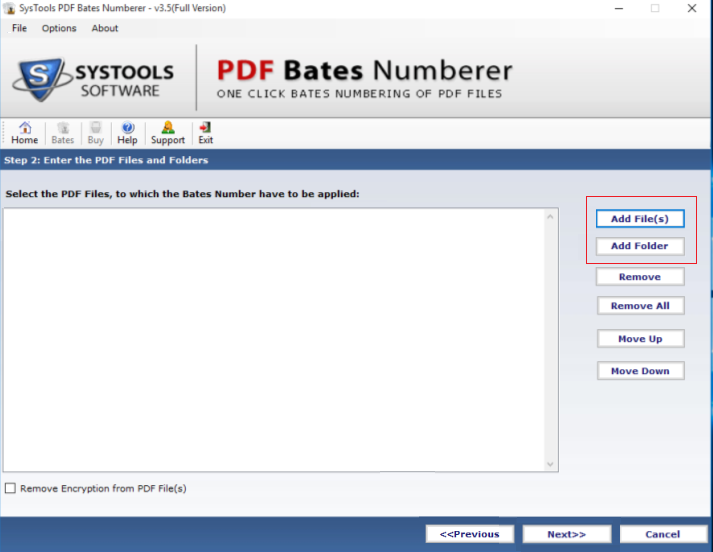 With this utility, I was able to add bates numbers to all my PDF files in a hassle-free way.